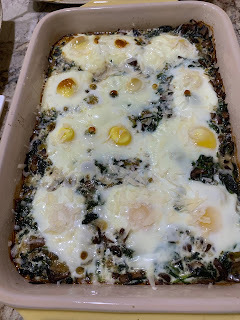 In planning a brunch for friends I decided that one dish would be some sort of baked vegetable egg dish. I had the other menu items lined up - various cheeses, smoked salmon, sourdough bread, pumpkin loaf, yogurt and fruit. I had decided that making eggs scrambled, poached, sunny side up or over easy was too difficult with a crowd. Making egg and vegetables in a muffin cup was an option and it could bake while company was coming through the front door. 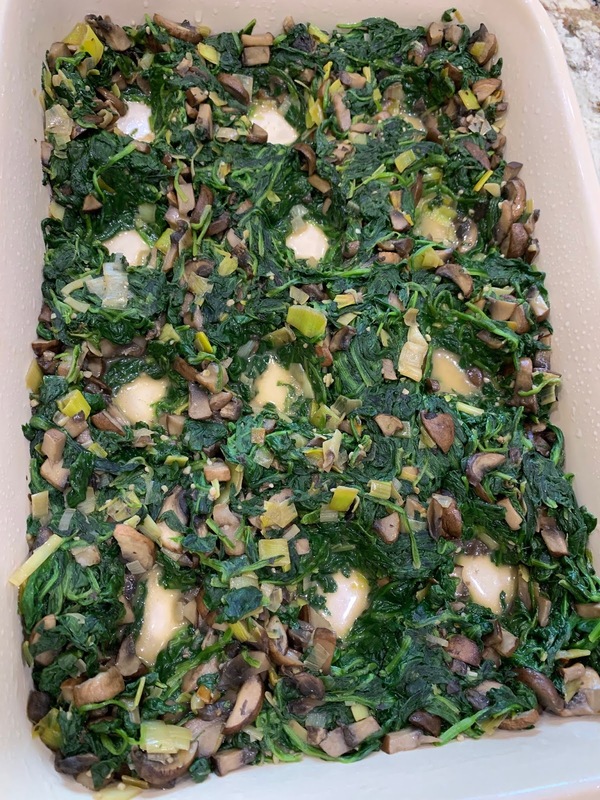 I combed through some of my favourite food sites and found a recipe for a spinach, mushroom and egg casserole. 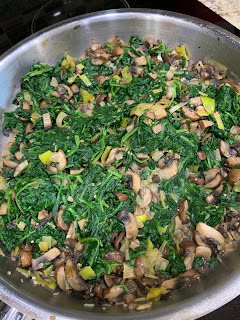 I read this Smitten Kitchen recipe over a number of times and thought about timing and what I could make ahead as company was coming mid morning. Life is much easier if you can prep some dishes ahead of time. 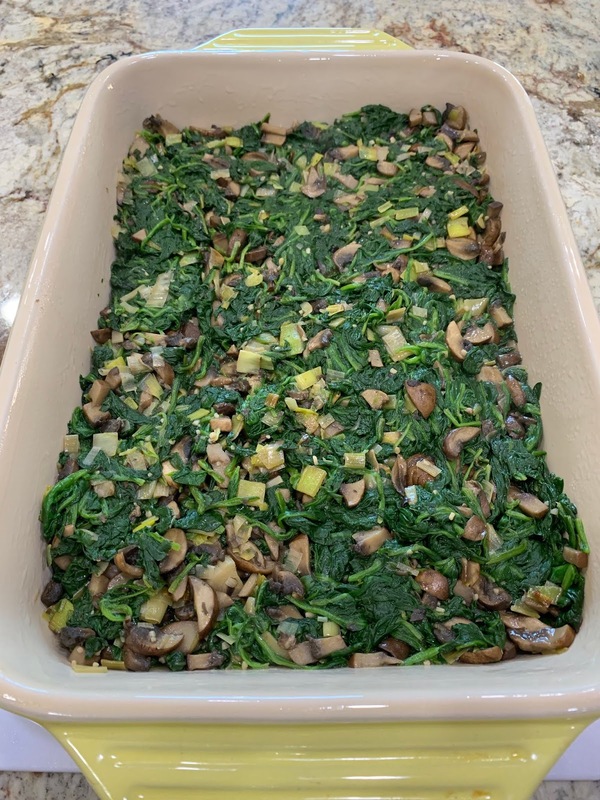 The essence of this recipe is that you sauté the vegetables ahead of time, mix all of the ingredients together, place it in an oiled 9 X13 over proof casserole dish and refrigerate it overnight. It took about an hour to get everything made and placed in the casserole dish. 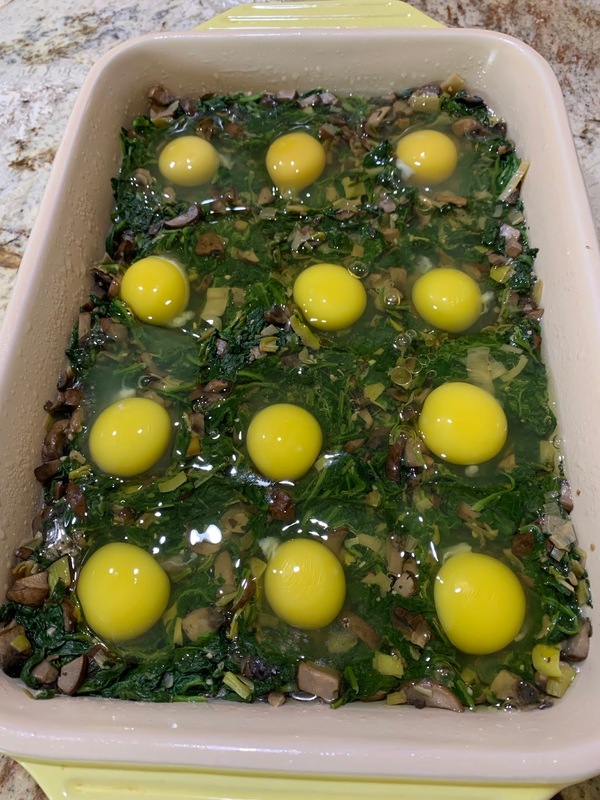 The eggs are added in the morning just before you are ready to bake it. I followed the ingredient list and directions in the Smitten Kitchen recipe and made a few small changes. I used coconut milk from the cartoon instead of heavy cream and sautéed a leak instead of an onion. This egg dish was a hit and everyone wants the recipe. My finished casserole didn't look as pretty as the one from Smitten Kitchen but I am sure it tasted just a good. Vegetables sauté in a large pan. 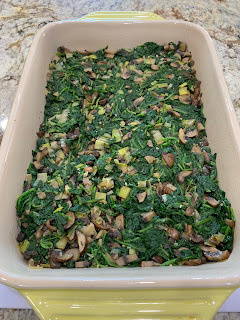 Vegetables placed in the casserole dish and spread evenly across the surface. Made 12 wells to put each egg into. At this point I covered it with plastic wrap and put it in the fridge. 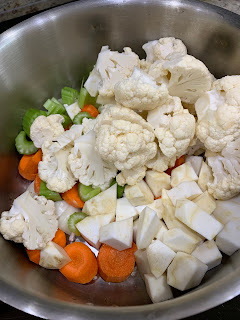 With having both two heads of cauliflower and two celery roots in the fridge, I got inspired to make a creamy soup featuring both of these vegetables for lunch today. Celery root is a bulb vegetable, about the size of an orange or grapefruit, and has a celery like flavour. You can eat it raw or cooked. It needs to be peeled before eaten and is a versatile vegetable. I like to grate it and use it salads, chop it and cook it with cauliflower and mash them together and have it instead of mashed potatoes, or cube it and roast it along with carrots, parsnips and or sweet potato. I made this soup in my big soup pot and cooked it on the stove but it can also be made in an electric pressure cooker. 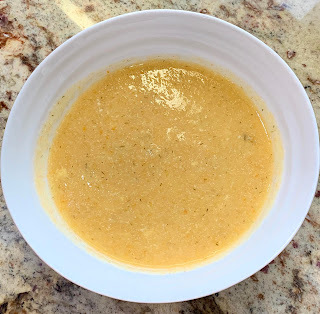 This soup is great to make year round but I likely would prefer it during the fall, winter or spring. I used frozen chopped dill as some of the seasoning. Every summer I cut dill from the garden, wash and chop it and then put it into freezer bags to use over the course of the year. Instead of just using shredded cheese or nutritional yeast to provide the cheesy flavour, I added a bit of both. I added one cup of shredded cheese and one quarter cup of nutritional yeast. The soup turned out delicious and both of us enjoyed it as part of lunch. 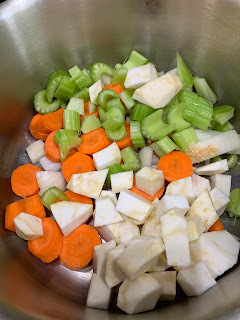 Vegetables being added to the soup pot. Into a large soup pot add all of the ingredients except the milk and cheese. Cover the pot with a lid and heat on high until it boils. Reduce the heat to simmer and cook for at least 45 minutes until all of the vegetables are tender. Using an immersion blender, puree the soup. You can leave some small chunks of vegetables if you want. Add the milk and cheese, stir and season with more salt and pepper if required. Serves 6. 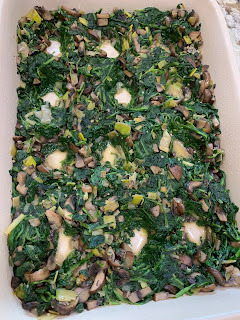 I have made this recipe several times and it is a favourite of mine. I have modified it from 'Friday Night Suppers' by Bonnie Stern. I like this cookbook as it has a variety of recipes and they are not complicated to make. These roasted vegetables make a wonderful side dish to compliment other dishes you may be serving. If you don't have orange juice, you could use other juices such as apple or pineapple or you could use lemon juice concentrate with some water added to it to make one quarter cup. Ready to be covered with tin foil and put into the oven. 1. In a large bowl, combine the sweet potatoes, carrots, onions, prunes and apricots. 2. In a smaller bowl or 2 cup measuring cup, combine the oil, honey, orange juice, salt and pepper and cinnamon. Add to the vegetables and combine well. 3. Line a large baking sheet or two medium size baking sheets with parchment paper. 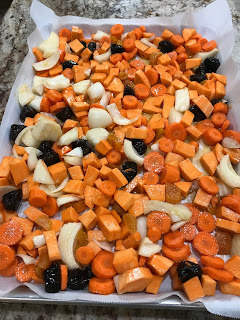 Spread the vegetables over the parchment paper, cover with foil and roast in a preheated 400 degree F oven for 25 minutes. Uncover and continue to roast for 20 to 25 minutes or until browned. 4. Sprinkle the parsley over the served vegetables. Makes 8 servings. Adapted from Friday Night Suppers. Whole wheat, rye and raisin bread ready to sample. 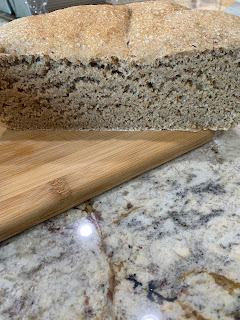 A section of the whole wheat and buckwheat bread. In deciding which bread to make this week, my thoughts went from focaccia to some kind of country loaf. Since I usually prep and feed too much sourdough starter in advice of making bread, I decided to make two kinds of loaves: 1) whole wheat and buckwheat and 2) whole wheat and rye with raisins. I have a few bread making books and spent time looking at these books and on the internet for recipes that used one cup or less of sourdough starter. 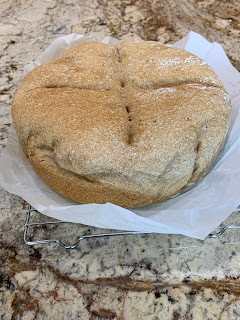 I was also limited in that I didn't want to let the bread rise for one or two days. I did find some interesting recipes that require two days to make a loaf even if you are using a starter as you use the starter to make a sponge. I found these recipes in a wonderful bread book by Martha Rose Shulman. 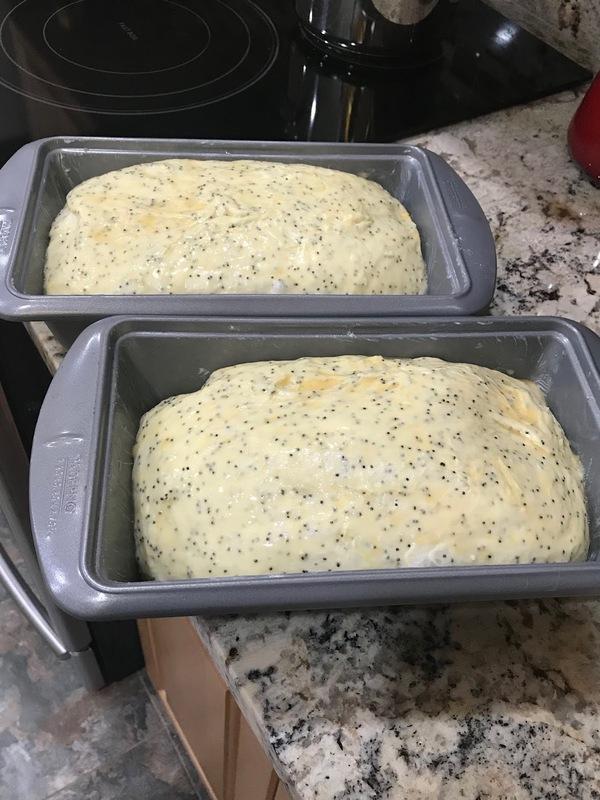 Each recipe makes a large loaf. In making these loaves, I used one of my favourite red Emil Henry bake ware pots and cooked the whole wheat and buckwheat loaf covered with the lid for the first half of baking. I also used parchment paper as a liner in the pot. For the whole wheat and rye raisin bread, I used two baking tins, 9 X 5 inches. 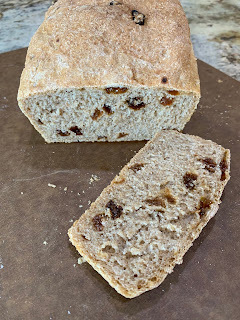 Since each recipe makes a large loaf, I divided the raisin dough into two after its first rise and put each half into a baking tin for its second rise. Whole wheat and buckwheat bread just out of the bake ware. 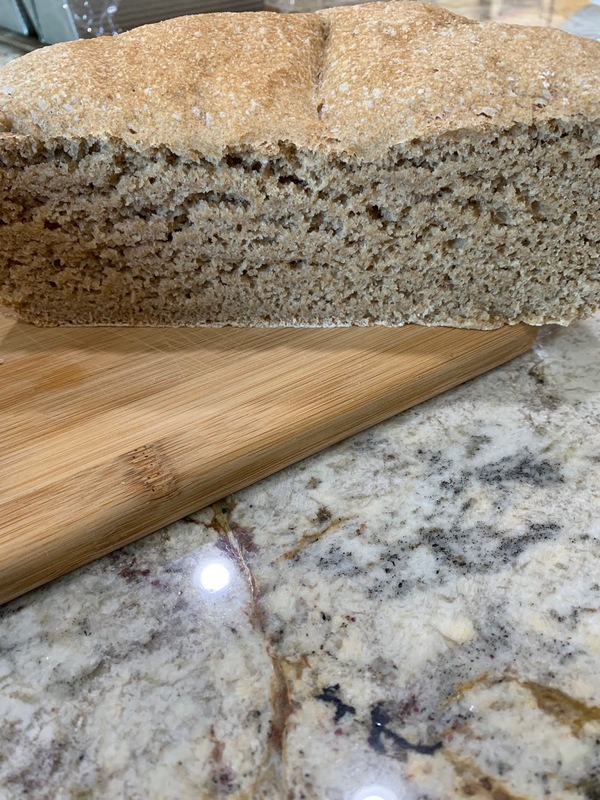 Inside view of the whole wheat and buckwheat bread. Raisin bread just out of the oven. 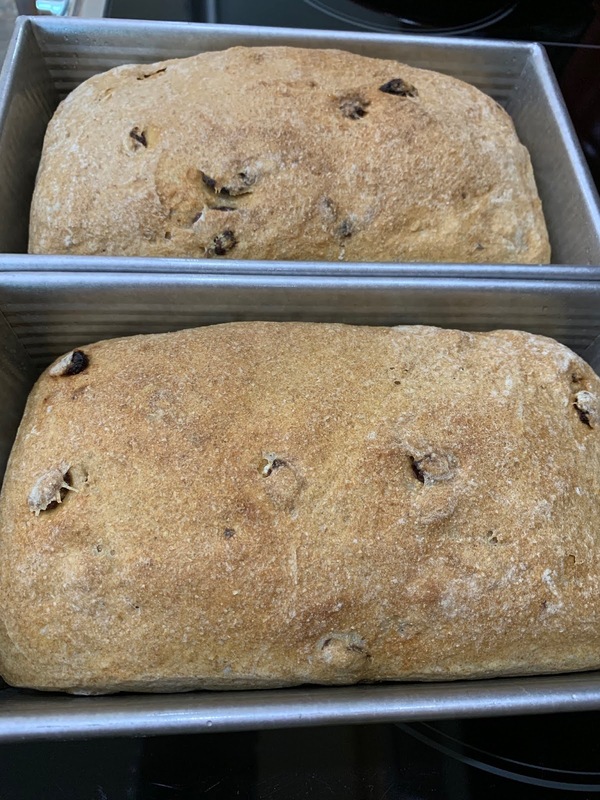 All three breads are made the same except for when to add raisins or unbleached white flour. The directions for the Country Bread includes a portion of the unbleached white flour added at the start of mixing the flours. The remaining or all of the unbleached white flour is added once you start to knead the bread. Dissolve the yeast in the warm water in a bowl and let stand for 10 minutes until creamy. Add the sourdough starter and mix well together. Kneading by hand: In a large bowl, combine the whole wheat flour, rye flour or buckwheat flour and salt. If making the sourdough country bread, add one cup of the unbleached white flour. Using a wooden spoon mix the flours. Add the yeast mixture to the flour mixture and fold into the flour. Mix. 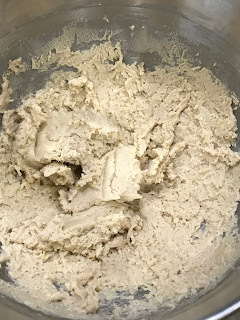 Flour a working surface and using a hard edged spatula, scape the dough out of the bowl onto the flour surface and knead for 10 to 15 minutes, adding the unbleached white flour to the dough to make a pliable workable bread dough. If making raisin bread, add the raisins towards the end of the kneading. 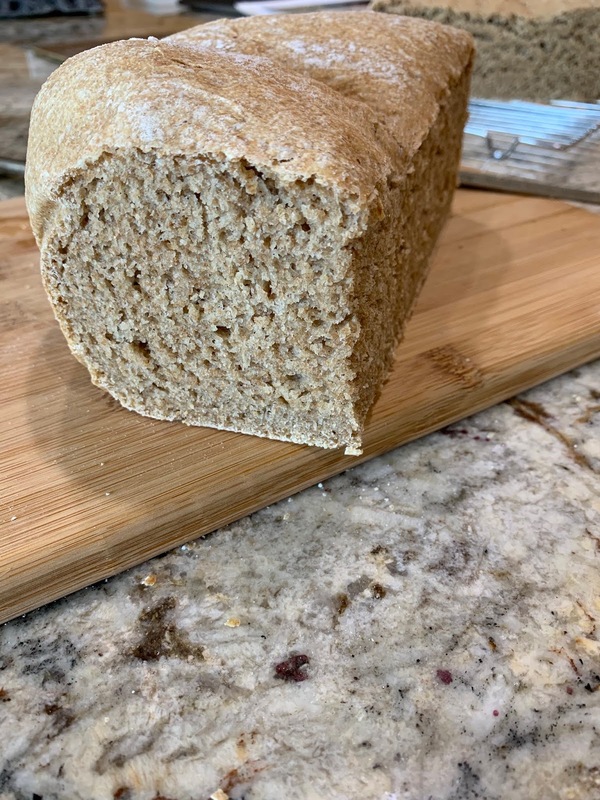 Kneading with an electric mixer: Combine the whole wheat flour, rye flour or buckwheat flour, salt and if making the country bread, add one cup of the unbleached white flour. Using a paddle, mix the flours on low speed. Add the yeast mixture and mix until everything is combined. Change the paddle to a dough hook and knead on low for two minutes. Start to gradually add the unbleached white flour and increase the speed to medium and knead for 8 to 10 minutes. Add enough white flour to make a pliable dough. 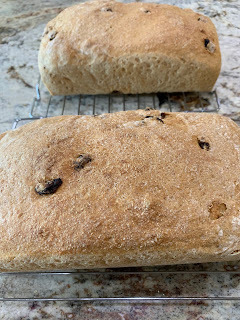 Add the raisins (if making raisin bread) during the last two minutes of kneading. Turn the dough out onto a flour surface and knead a few times. 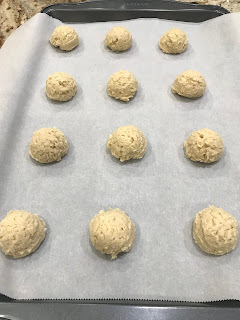 Rising: Shape the dough into a ball. Oil a large mixing bowl (non-metal) and place the dough in the bowl, turning it to coat it with oil. Cover with plastic wrap and a towel and let it rise in a warm place for 1 1/2 to 2 hours, until double in bulk. Lightly flour a work surface and turn the dough out from the bowl. 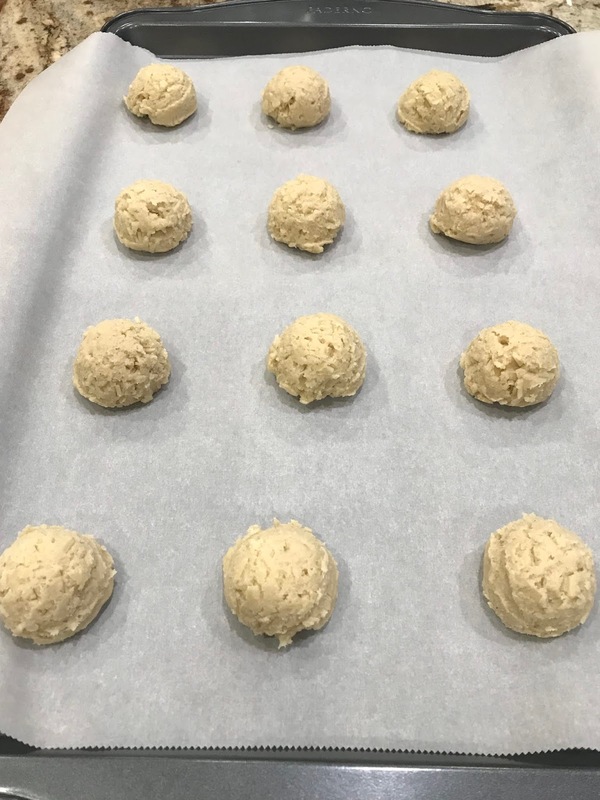 Shape the dough a few times into a round ball with your hands. 1. 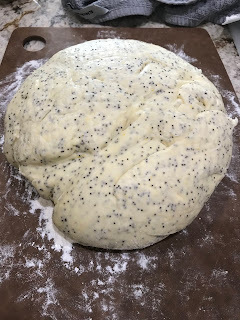 Using a baking sheet, pizza or baking stone: Return the dough to the oiled bowl, cover with plastic wrap and a towel and let rise in a warm place for 1 1/2 hours or until almost double in size. If you are using a baking sheet, oil the baking sheet and dust with cornmeal. Gently turn out the dough onto the baking sheet and let it rise for about 20 minutes. Omit this step if you are baking directly on a stone. 2. Using baking tins, Emil Henry or other ceramic/steel baking ware. Oil the baking tins, stone ware or line the ceramic baking ware with parchment paper. If using loaf tins, shape the dough into a more rectangle shape versus round shape that would work for round baking ware. Cover with plastic wrap and a towel and let it rise in a warm place for 1 1/2 hours or until almost double in size. Baking: About 25 to 30 minutes before baking, preheat the oven to 400 degrees F with a rack in the middle. Slash the top of the dough with a sharp knife just before baking. 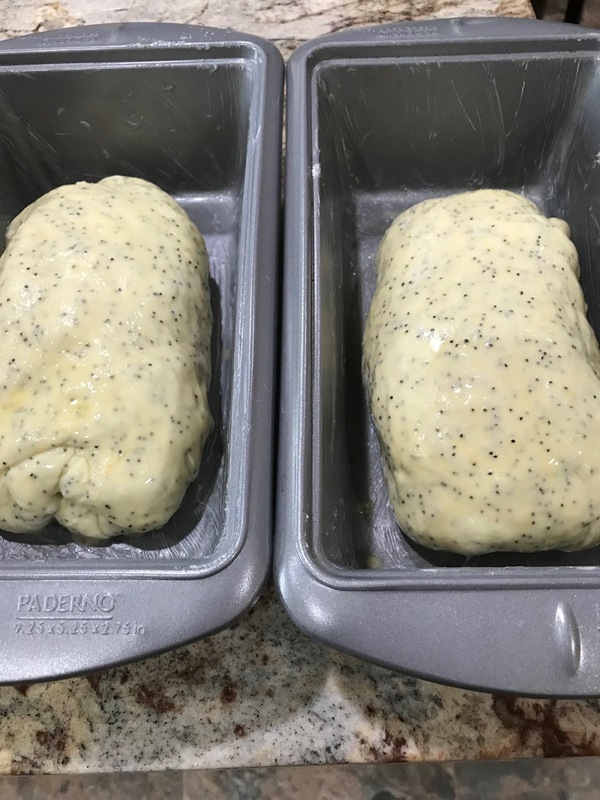 Bake for 45 to 50 minutes, spraying the loaf with a water several times during the first 10 minutes. Another option for providing steam to the loaf is to place a pan of water on the bottom rack of the oven. Bake until the loaf browns and responds to tapping with a hollow sound. Remove from the baking ware/stone ware and cool on a rack. Nice and moist on the inside. Cookies cooling on the rack. 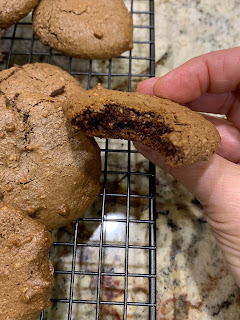 I have a recipe for chocolate sesame tahini cookies that I have made several times. It is paleo and you could make it vegan by substituting the egg for a flax egg. I found the recipe on a blog site by PaleOMG. I do like to read Juli Bauer and subscribe (its free) to receive her posts into my email inbox. Her blogs cover a variety of topics - from food to exercises to travel to fashion. I did make a few changes to the original cookie recipe from paleOMG and provide them here. It is a satisfying cookie, you don't need to eat many to get full. The majority of the ingredients by volume is tahini and maple syrup. It reminds me of a peanut butter cookie as that kind of cookie consists mainly of peanut butter and sugar. This cookie is so good that it is one cookie that the DH will request and he even found where I stashed a few in the freezer in case I wanted to serve them to friends over the past holiday season. 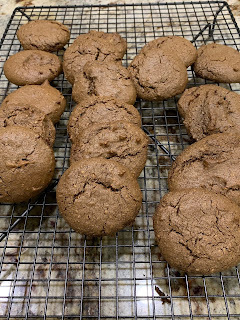 I use a food processor with a mixing blade to make these cookies. You could make them in a bowl by hand but I think you get a better blend using a food processor as you have to combine well the tahini and maple syrup to get a nice paste. Into a food processor using a mixing blade, add the tahini and maple syrup. Combine until it is well mixed. Add the egg and combine for about 20 to 30 seconds. Add the rest of the ingredients and combine for less than a minute until you have a smooth paste. Line a large cookie sheet with parchment paper. Using a cookie dough scooper, scoop out about 1.5 to 2 tablespoons of dough. 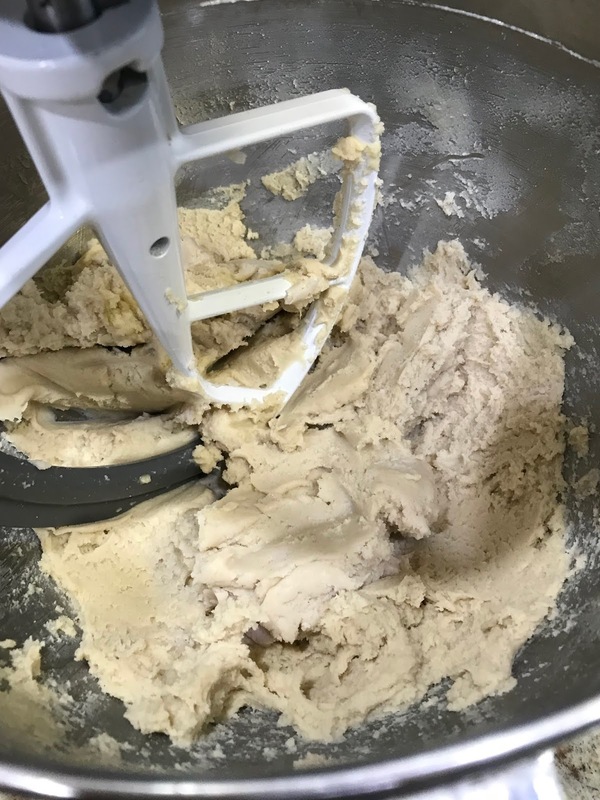 I like to use the medium size cookie dough scooper (it is a 40 size marked on the inside of the scooper) as the cookies are not too large. Spread out the raw scoop cookie dough so that you have a little bit of space between the cookies. I don't flatten the scooped balls. Chill the uncooked cookies on the cookie sheet in your freezer or outside if it is cold enough, for about 12 minutes. Chilling the cookie dough before you bake it makes them spread out less and they are thicker. 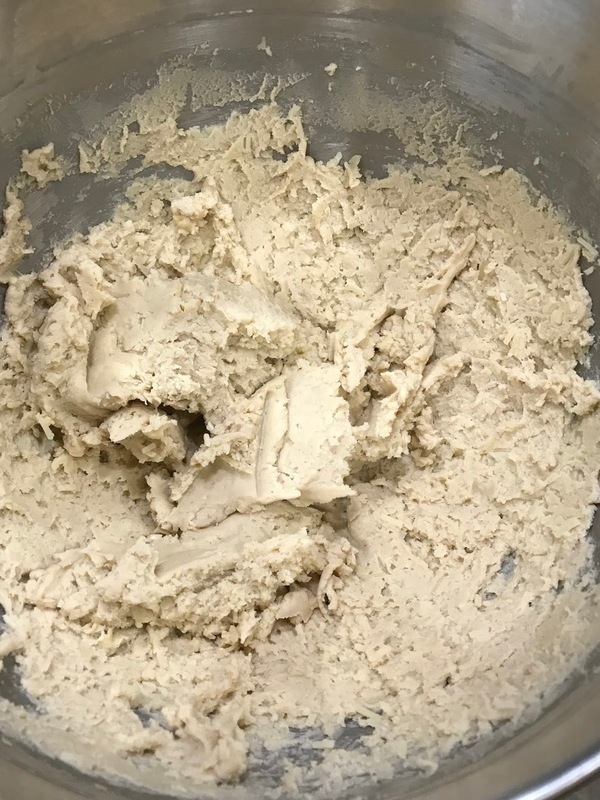 You can read more about some time trails that King Arthur flour did on comparing chill time for cookie dough. Place into a preheated oven at 350 degrees F for about 15 to 17 minutes. I used regular heat and did not use convection heat. After they are finished baking, let them sit on the pan for 10 plus minutes before transferring them to a baking rack to continue cooking. You don't want to transfer them too quickly to the baking rack as they need time to harden before handling. From time to time, I look at frozen lasagna at the grocery store. My body doesn't like eating heavy tomato laden dishes and some dishes can create heartburn. Since the DH and I try to watch our carb intake and make better choices, I decided to make a noodle-less vegetarian lasagna. I like to use a variety of vegetables and ricotta cheese gives it a bit of richness. There are many ways to create a noodle-less pasta dish. Some recipes use zucchini or eggplant strips as the base. 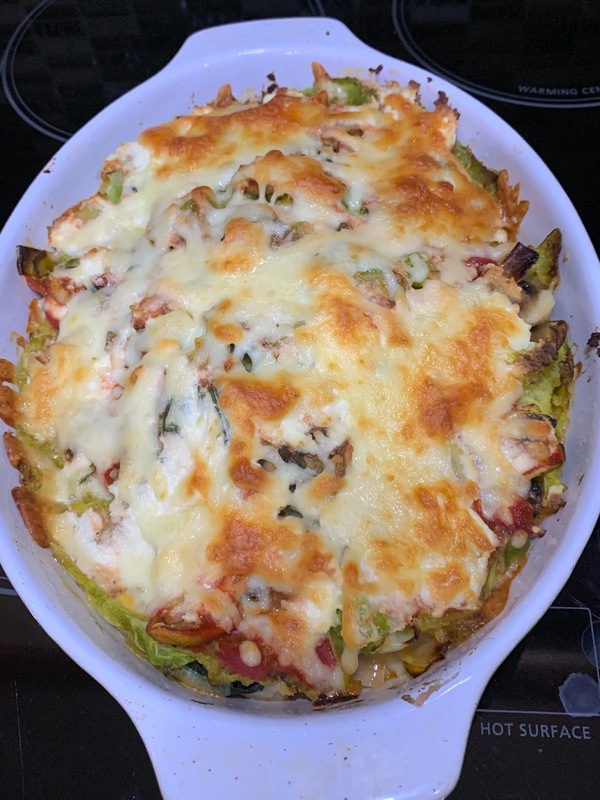 I decided to use Savoy cabbage as the base for this lasagna. 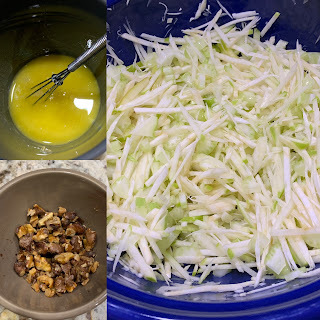 Savoy cabbage is a softer cabbage, better for use in cooking than eating raw and works well if you want to use it for rolling food, layering in casseroles, in soups or in sautéed vegetables. You need to first blanch the cabbage leaves in order to soften them and make them pliable. They did the trick in providing the base layers and I made three layers for this lasagna. 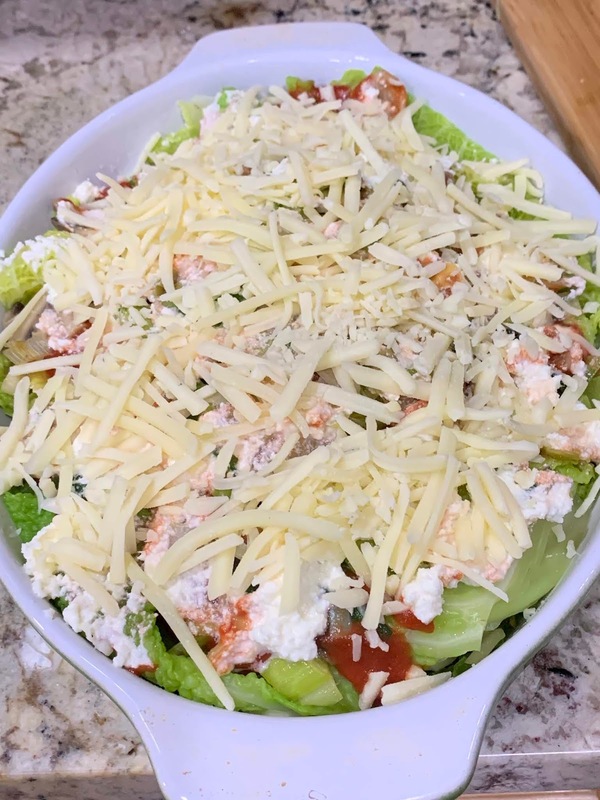 For the cheese, I decided to use a grated cheese blend of several different cheeses that is packaged as an Italian blend. Any of your favourite grated cheeses will work. For tomato sauce, I buy jars of strained tomatoes and use that as a sauce. Because pasta is not used in this dish, the juices from the tomatoes and ricotta cheese don't get absorbed the same way as it would if you used pasta. I spooned some of the excess juice out of the baking dish after I took out the first slice and it amounted to about a third of a cup. I drank it and it tasted pretty good. Both the DH and I enjoyed the lasagna and it met the desire for lasagna. Savoy cabbage draining in a colander. 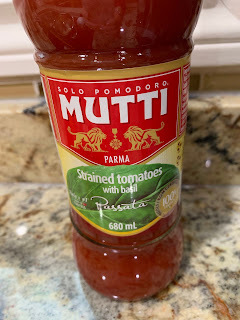 I used these strained tomatoes for the sauce. Vegetables sautéing in the pot. Constructing the layers for the lasagna. In a large pot, filled halfway with salted water, heat to boiling and add the cabbage leaves. Reduce heat to medium and blanch the leaves for seven to eight minutes. Remove the leaves and place them in a colander to drain. Using the same cooking pot with the water drained or a larger size frying pan, heat the two tablespoons of oil on medium high heat and add the leeks, mushrooms and garlic. Reduce the heat to medium low and sauté for five to seven minutes. 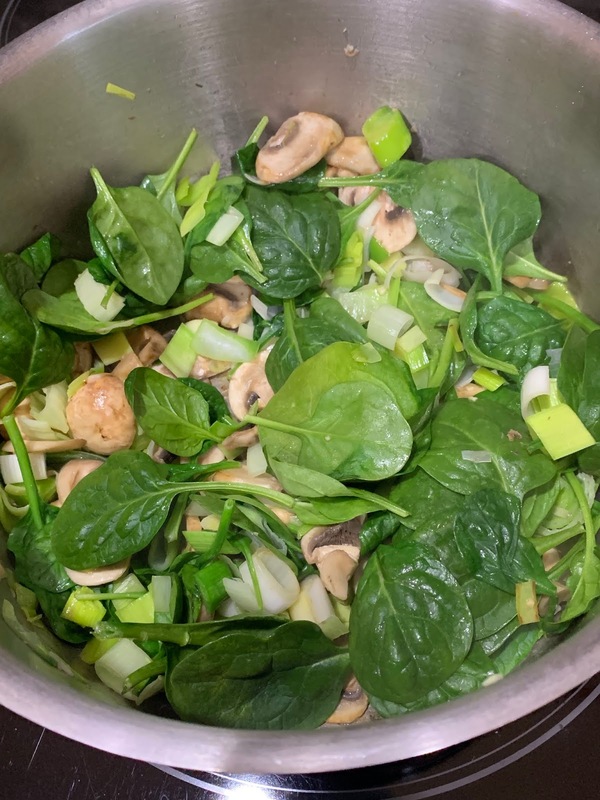 Add the spinach and sauté for another few minutes. While the vegetables are sautéing, pat dry the cabbage leaves with paper towels or a clean kitchen towel. Be careful to not tear them apart. Oil a 10 to 12 inch baking dish (I used an 11 inch oval baking dish). 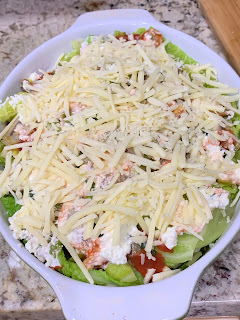 Since you will be making three layers, you have to use one third of the cabbage leaves, sautéed vegetables, tomato sauce, ricotta and grated cheese for each layer. Place three cabbage leaves on the bottom of the dish. I cut a fourth cabbage leaf and used half of it on the bottom layer with the three other leaves. 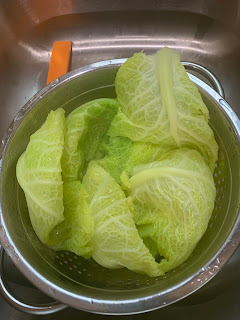 To make each cabbage leaf spread easier, I made a small cut in the rib of each leaf before placing it in the baking dish. Add the one third of the sautéed vegetables, followed by the tomato sauce, ricotta and grated cheese. Repeat the layering two more times. 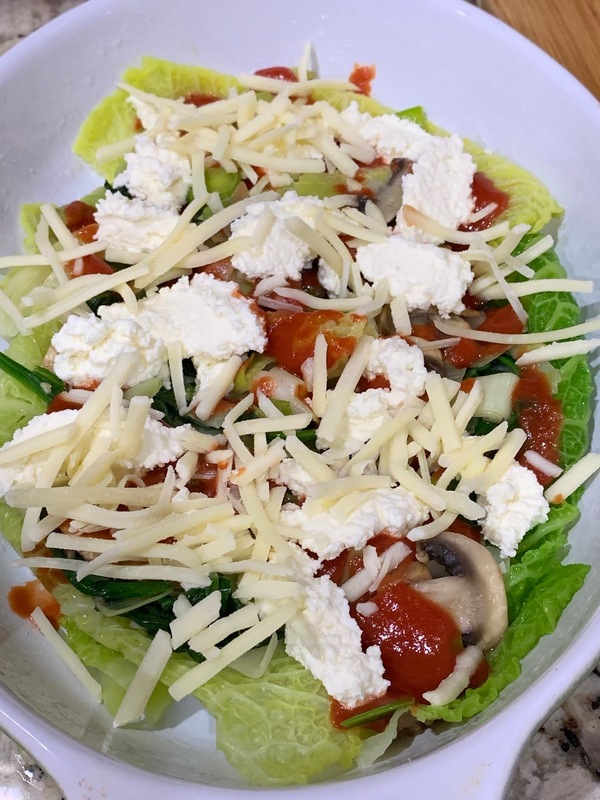 After the second layer, I sprinkled some Italian seasoning over the cheese before I added the final layer of cabbage leaves, vegetables, tomato sauce and cheeses. You can add salt and pepper to any one of the layers if you want. Bake in a preheated 350 degree F oven for 25 to 30 minutes until the top is browned. Serves two to four depending on appetites and if this is the main entree or a side dish. Over the years I have eaten celery root, but not frequently, and mostly prepared by others. Last year I decided to use this mild root as it is a great substitute for white potatoes. Celery root is a knobby, hairy root vegetable that has a crisp taste. You can eat it either raw or cooked. There are a variety of things you can make with celery root: cubed and sautéed with bacon; pureed creamy soup; pureed to make a mash either alone or with potatoes, carrots, or cauliflower; cubed and roasted in the oven; and salad. I do like pureed mash with butter, salt and pepper. It is a great side dish. As Mark Bittman has said in one of his blogs, you need to be trim the celery root, properly called celeriac, in a fearless and ruthless manner. Using a good paring knife, trim the top off and then following the contour of the shape of the root, cut down along the sides. You want to be careful in not trimming too much of the flesh which is behind the brown skin. Trim the bottom and then trim out any remaining specs of brown skin. When I first tried to peel the skin off the celery root I used a peeler. I found that difficult as it is not smooth to peel like a carrot or parsnip. A paring knife works much better. There are several salads you can make with celery root. The dressing is either mayonnaise or vinaigrette based. I decided to make one using oil and vinegar. I like this salad as it combines apple, celery stalks and walnuts with celery root. It has a refreshing taste. I used a mandoline slicer to julienne the celery root and apple. I was tempted to use a food processor but decided that I need to make more use of the mandoline slicer. Dressing, chopped walnuts and julienned vegetables. Make the salad dressing in a small cup or bowl. Use a whisk to mix together. Set aside. Julienne the celery root using a sharp knife, grating disk in a food processor or a mandoline slicer. Add to a large mixing bowl and toss with the lemon juice. Julienne the apple using a sharp knife, grating disk in a food process or a mandoline slicer and add to the bowl with the celery root. Toss together. 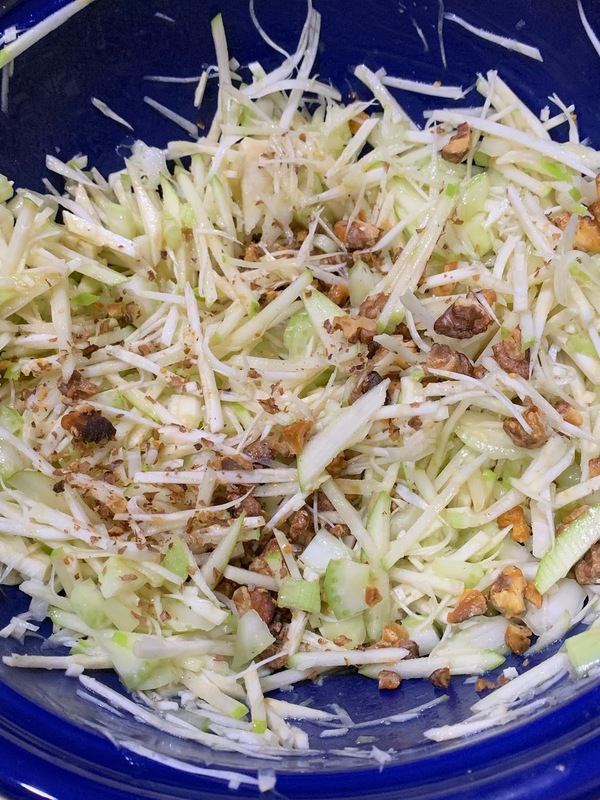 Finely chop the celery and add to the bowl with the celery root and apple. Combine well. Add the salad dressing and toss well. Top with the toasted walnuts. Serves 4 to 6 depending on appetite. 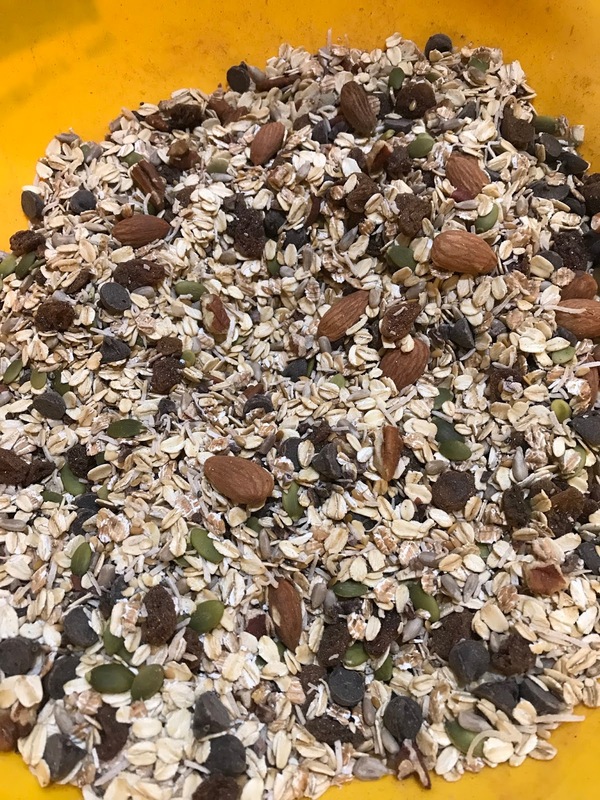 Muesli in a large container that can stored in the fridge. There are a variety of muesli recipes one can find. Some are based on oatmeal and others are non-grain and consist of nuts, seeds, coconut and dried fruit. The main difference between granola and muesli is that granola is baked. Granola also has wet ingredients added to it like honey, maple syrup, nut butter or egg whites. The wet ingredients add a coating, helps the crunch factor and in some cases makes it clump. 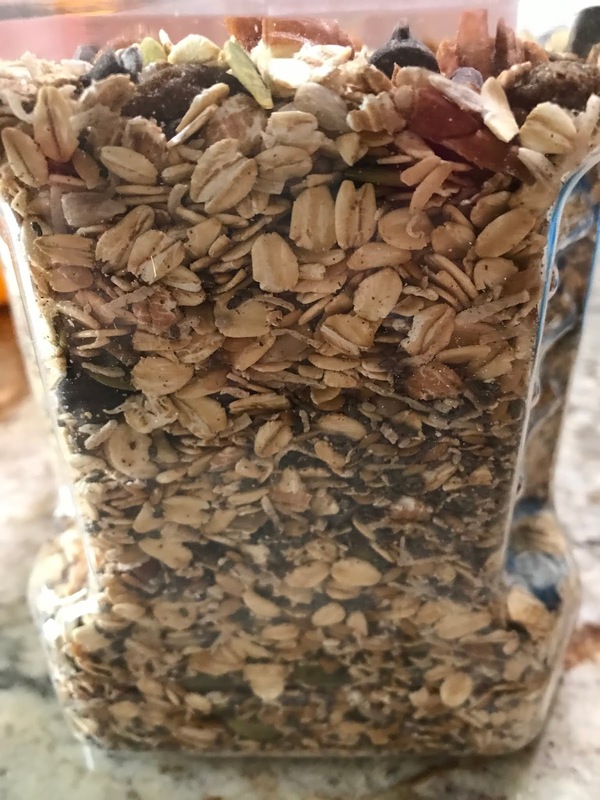 I like the simplicity of muesli as it doesn't require baking. Muesli can be added to yogurt, milk and as a topping to a smoothie, hot oatmeal, applesauce or stewed rhubarb. There are many ways to eat muesli. It is also convenient to take to work for breakfast or have as a snack. I store muesli in a large jar (about one and half litres or six cups) in the fridge. When ready to eat, I shake the jar a few times in order to get a good mix as some of the spices or smaller seeds might have dropped towards the bottom of the container. I use about half a cup as a serving if adding to almond or coconut milk for breakfast. I let it sit for about 2 minutes before I start to eat it. Besides the ingredients provided here, you can add other things such as cardamom, ginger, apple pie spice, dried berries and other nuts or seeds. I like adding both carob nibs and chocolate chips to the mixture. After mixing in a large bowl. Add all of the ingredients into a large mixing bowl. Mix well with a wooden spoon or spatula. Transfer to a large jar for storage. I use a measuring cup to transfer the muesli to the large jar so that I don't make a mess. If using within two weeks it can stay in a kitchen cupboard; otherwise store in the fridge. I keep the jar in the fridge. Several weeks ago I made a sourdough brioche bread. I got the recipe from a friend who also likes to make bread. 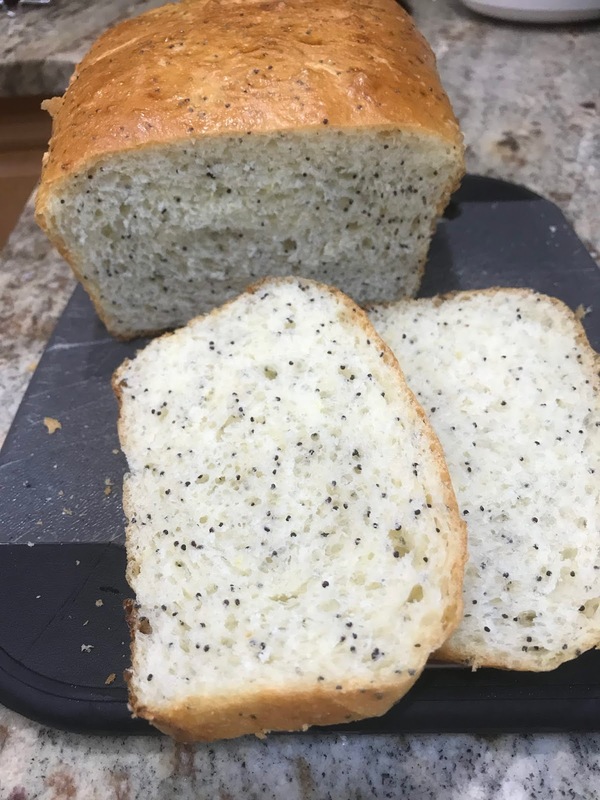 Last week I had a craving for lemon poppyseed and thought about making a dessert style loaf. 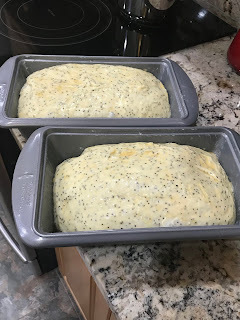 I thought about other options of which one was using the sourdough brioche bread recipe and adding lemon juice and zest and poppyseed to the basic recipe. 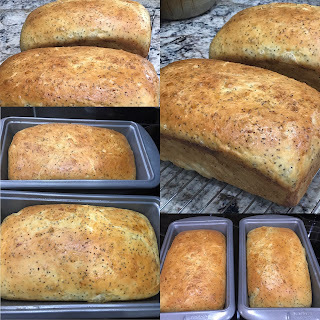 This brioche bread recipe is what I would call a french style egg bread and you could create other kinds of bread based on the basic recipe. For example you could add chocolate chips/chocolate shavings, raisins, dried cranberries, shredded cheddar, chopped walnuts/pecans or herbs to the basic dough batter. What you need to think about is the quantity to add. When I made the basic sourdough brioche bread I used three small baking loaf tins. This time round I used two large ones. I also let it rise for the second rise in the bread pans for over 2.5 hours. The bread turned out great and we both really liked the flavour. The dough did a nice rise after one hour. Egg wash applied and now ready for the second rising. Second egg wash applied and now going into the oven. The results at the end. I couldn't help myself. Butter from grass fed cows. Amongst the nutrition and recipe books collected on the years, we have the Plant Paradox and the Plant Paradox Cookbook. The DH has been interested in several recipes from both books and asked that I make this one. 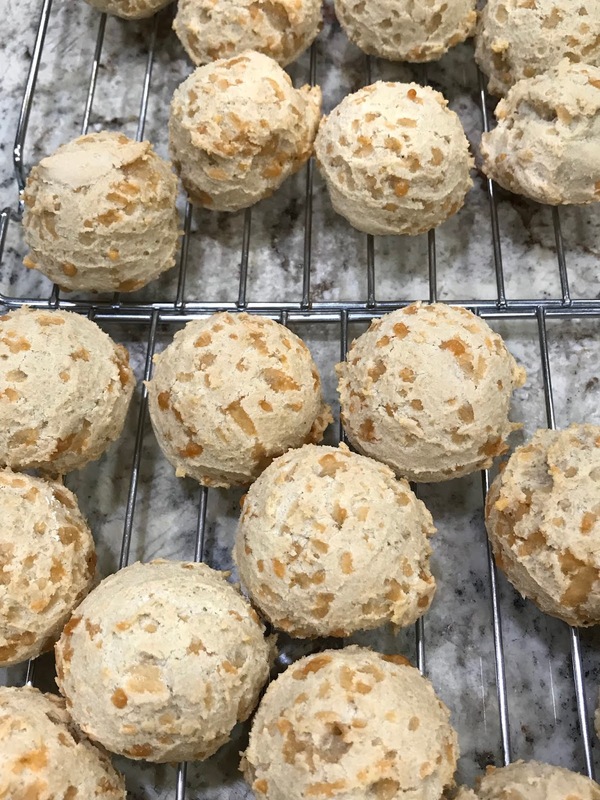 The recipe is modelled on a Brazilian cheesy bread Pao de Queijo. 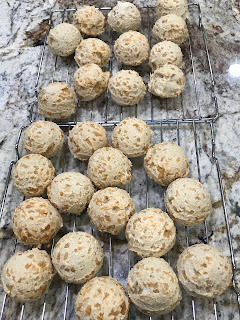 I have never tried this Brazilian bread but it looked delicious in the cookbook. The recipe has six ingredients and is based on cassava flour. I weighed the amount of cassava flour versus using a measuring cup. To create the cheese flavour you can use either Parmigiano cheese or nutritional yeast. You can make the recipe vegan if you use flax eggs. I used one and a quarter cups of Parmaigiano cheese. One cup would have been sufficient. The directions to make the dough requires a bit of mixing and calls for a stand mixer or a food processor that has a paddle. If I had to mix this recipe by hand, it would require 10 to 15 minutes of vigorous beating by hand. Personally I find using a stand mixer much easer. Be prepared for an irresistible cheesy bread aroma wafting from the oven while the bread rolls bake. I used a one and three-quarter inch cookie dough scooper to scoop the dough out of the bowl and bake them into small balls. If you use a tablespoon or a small ice cream scooper, you may need to dip the utensil into a bowl of water between scoops to keep the dough from sticking. The dough didn't stick using a cookie dough scooper. Cassava flour when baked is not the same as wheat flour. 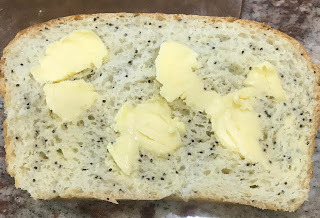 It is more moist inside and not as dry as wheat bread roll. The bread rolls taste good and the DH likes them. Next time I make them I would add a bit of dried dill or basil to the dough batter. Dough cooling in the saucepan. Eggs being added to the dough. All ingredients have been added and mixed and now ready to be scooped onto the baking sheets. Scooped onto the parchment paper. Cooling off on a rack. 1. Preheat the oven to 450 degrees F. You will need to use two baking sheets so you may have to adjust your racks to fit both in the oven at the same time. 2. Line the two baking sheets with parchment paper or silicone baking mats. 3. Into a medium size saucepan, add the milk, oil and salt. Heat over medium heat, stirring occasionally with a mixing spoon. Remove from the burner when big bubbles start to appear as the mixture is starting to boil. 4. 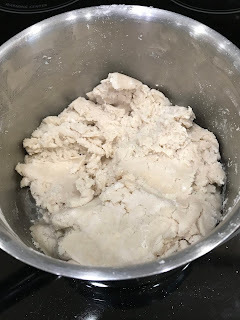 Add the cassava flour to the saucepan and stir with a mixing spoon until it is well combined and it looks like dough. Let it sit for a few minutes so that it starts to cool off. 5. Transfer the dough into a bowl of a standup mix (eg mixmaster) fitted with a paddle attachment. Beat the dough for a few minutes on medium speed until it appears smooth and it cool enough to handle. 6. Keeping the mixer on medium speed, add the eggs into the cooled mixture one at a time. Wait until the first egg is incorporated into the batter before adding the second. You will need to stop the mixer from time to time to scrape down the dough on the sides of the mixing bowl. Mix for a minute to two minutes. 7. If using cheese, beat it in on medium speed and make sure it is incorporated through the dough. You may have to scrape down the sides of the bowl if the dough is sticking to the sides. The dough will be soft and stretchy and a bit sticky. 8. Using a cookie scooper or another favourite scooper, scoop the dough out of the bowl and place onto the parchment paper. The dough will rise a little bit while baking so space out the scoops between the two baking sheets. 9. Place the baking sheets in the oven and reduce the heat to 350 degrees F. Bake for 15 minutes, then rotate the baking sheets. Bake for an additional 10 to 15 minutes until the buns are golden. Remove from the oven and cool for a few minutes before serving or sampling. Makes 24 to 28 buns. Adapted from the Plant Paradox Cookbook by Steven Gundry. Welcome to my site. My musings will cover a wide variety of things including food, nutrition, the challenge of eating well and being healthy, life's funny turns, staying focused and motivated and appreciating that LIFE IS GOOD!